Knight Family - Warren Taylor Vaughan, Jr., M.D. Warren Taylor Vaughan, Jr., M.D. Dr. Warren Taylor Vaughan, Jr.
Dr. Vaughan came from a family already steeped in a tradition of medical practice, research, teaching, and community involvement. His grandfather, Dr. Victor C. Vaughan, was a medical school dean and former president of the American Medical Association. His father, Warren T. Vaughan, Sr., was a pioneer in the treatment of allergies. Dr Vaughan and his three brothers all attended Harvard College and Medical School. After graduating from medical school, Dr. Vaughan served in the United States Army Medical Corps where he became a psychiatrist. Subsequently he took additional training in child psychiatry and worked in the Wellesley Mental Health Clinic. Three years later he was appointed director of the Massachusetts Division of Mental Hygiene. In 1950 he took part in the research of the Joint Commission on Mental Illness and Health, which led to the passage of the National Community Centers Act, and in 1959 he moved West to assume directorship of the mental health division of the Western Interstate Commission for Higher Education. Coming to San Mateo in 1961, Dr Vaughan established a part time psychiatric practice and served as director of the Napa State Hospital's children's unit. He also helped in the planning and development of the community mental health center at Peninsula Hospital in Burlingame. During the 1960s and 1970s, concerned with the broader socio-cultural issues of violence and interracial harmony, he developed a proposal for a world "Brotherhood" movement and became a task force leader in the metropolitan planning branch of the Episcopal Diocese of California. Throughout his professional life, Dr. Vaughan was involved in many medical, public health, and social support organizations, and served as president of the Northern California Psychiatric Society. He was also a consultant to several public and private agencies in San Mateo and Santa Clara counties. Until a few weeks before his death, he continued his work with the Gardner Health Clinic in San Jose. In hearts they leave behind. They live a life again. 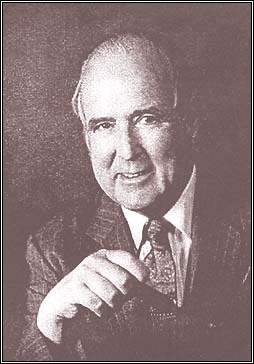 WARREN T. VAUGHAN JR., M.D. _ John H. Vaughan, M.D. _ Julian S. Stein, Jr.
_ Donald E. Newman, M.D.